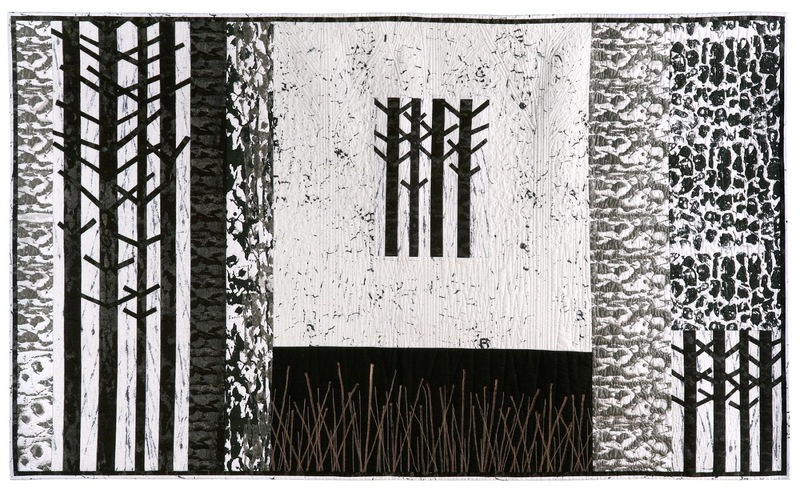 Just heard yesterday that my quilt Thetford Trees has been selected for the Fine Art Quilt Masters Gallery at the Festival of Quilts [Birmingham, UK]. 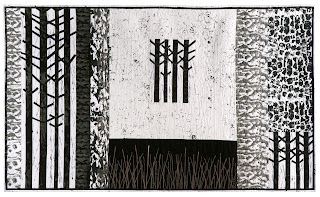 The fabrics are either screen printed, using thermofax screens made from my own photographs of birch bark and flint walls. There is also some break down printing - the large white area, and the sticks are discharge printed.